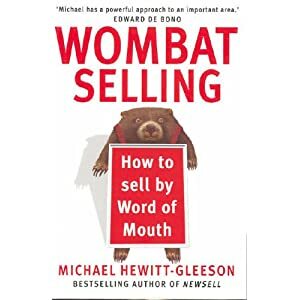 Click here and write ‘WOMBAT SELLING’ if you would like to receive a free ebook version of WOMBAT SELLING: How to sell by Word of Mouth. WOMBAT SELLING is a completely rewritten and updated version of NewSell, first published in New York in 1984 and then in Australia in 1990. It became required reading for any businessperson. It exposed the dirty secret of traditional selling: that we actually have no way of knowing how to close the sale! Thanks for this, I have downloaded it and will have a read. Wonderful titles have me jumping for joy!